To harness the full power of computer technology, economists need to use a broad range of mathematical techniques. 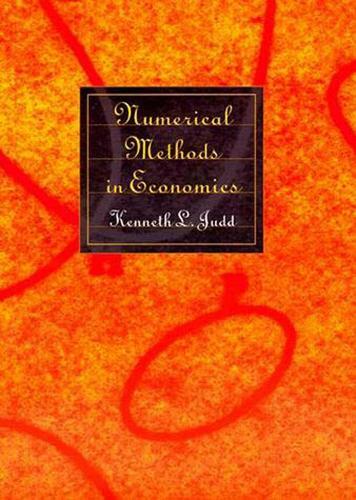 In this book, Kenneth Judd presents techniques from the numerical analysis and applied mathematics literatures and shows how to use them in economic analyses. The book is divided into five parts. Part I provides a general introduction. Part II presents basics from numerical analysis on R^n, including linear equations, iterative methods, optimization, nonlinear equations, approximation methods, numerical integration and differentiation, and Monte Carlo methods. Part III covers methods for dynamic problems, including finite difference methods, projection methods, and numerical dynamic programming. Part IV covers perturbation and asymptotic solution methods. Finally, Part V covers applications to dynamic equilibrium analysis, including solution methods for perfect foresight models and rational expectation models. A website contains supplementary material including programs and answers to exercises.